This iPAQ repair service involves the complete replacement of either the front or rear case assembly. If you have dropped your iPAQ and the front or rear casing is now damaged, this is the repair service for you. All parts used are brand new and factory supplied. This is an in-house iPAQ hw6500 repair service, when ordering this service you are required to ship the Pocket PC into our repair centre for works to be undertaken. hw6500 series front case is a replacement part for the HP iPAQ hw6515 / hw6510. This original manufacturer spare part in.. Replacement rear case for the hw6515, if your back case is damaged or scratched treat your iPAQ to this new back case! .. 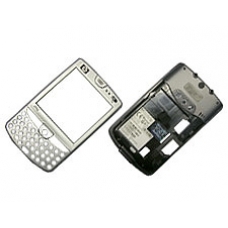 Replacement rear case for the hw6510, if your back case is damaged or scratched treat your iPAQ to this new back case! ..